Businesses: Be competitive and profitable. 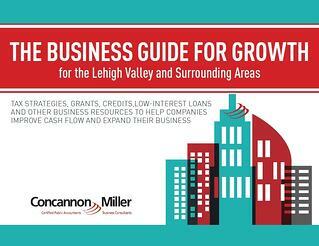 Use tax strategies, grants, credits and low-interest loans to help meet your cash flow and business expansion goals. Submit the form for the guide to valuable business resources. Concannon Miller never sells or gives away contact information.